As trading came to a close for Q1 2013 at the Chicago Board of Trade (CBOT) on Thursday afternoon, the Oilholic saw crude oil futures rise during the last session of the first quarter aided undoubtedly by a weaker dollar supporting the prices. However, yours truly also saw something particularly telling – fidgeting with the nearest available data terminal would tell you that Brent crude futures slipped nearly 1 percent over Q1 2013. This extended a near-1 percent dip seen in Q4 2012. Overall, Brent averaged just around the US$112 per barrel level for much of 2012 and the Brent-WTI premium narrowed to its lowest level in eight months on March 28. That said, it must be acknowledged that US$112 is still the highest ever average annual price for the benchmark as far as the Oilholic can remember. In its quarter ending oil market report, the CME/CBOT said improved sentiment towards Cyprus was seen as a supportive force helping to lift risk taking sentiment in the final few days before Easter. On the other hand, concerns over ample near term supply weighed on nearby calendar spreads, in particular the Brent May contract. In fact, the May versus June Brent crude oil spread narrowed to its slimmest margin since July 2012. Some traders here indicated that an unwinding of the spread was in part due to an active North Sea loading schedule for April and prospects for further declines in Cushing, Oaklahoma supply. Away from price issues, news arrived here that ratings agency Moody’s reckons an escalation in the cost of complying with US federal renewable fuel requirements poses a headwind for the American refining and marketing industry over the next two years (and potentially beyond if yours truly read the small print right). Moody’s said prices were spiking for renewable identification numbers (RIN) which the US Environmental Protection Agency (EPA) uses to track whether fuel refiners, blenders and importers are meeting their renewable-fuel volume obligations. Senior analyst Saulat Sultan said, "US refining companies either amass RINs through their blending efforts or buy them on the secondary market in order to meet their annual renewable-fuel obligations. It isn't yet clear whether recent price increases reflect a potential shortfall in RIN availability in 2014, or more structural and permanent changes for the refining industry." The impact of higher RIN prices will depend on a company's ability to meet its RIN requirements internally, as well as the amount of RINs it can carry over to 2014 and gasoline export opportunities, Sultan says. Refiners carried over about 2.6 billion excess RINs to 2013 from 2012, but the EPA expects a lower quantity to be carried over to 2014. "RIN purchasing costs can be sizable, even while refiners are generally enjoying a period of strong profitability, such as they are now. Integrated refining and marketing companies including Phillips 66, Marathon Petroleum and Northern Tier Energy LLC are likely to be better positioned than sellers that do not blend most of their gasoline, such as Valero Energy, CVR Refining LLC and PBF Energy, or refiners with limited export capabilities, such as HollyFrontier," Sultan added. 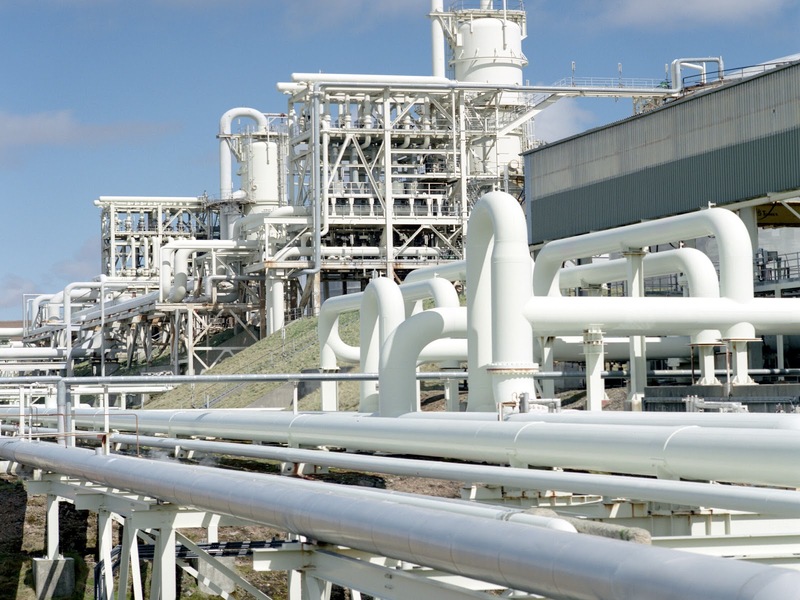 Concurrently, increasing ethanol blending, which is used to generate enough RINs to comply with federal regulations, raises potential legal issues for refiners. This is because gasoline demand is flat or declining and exceeding the 10% threshold (the "blend wall") could attract lawsuits from consumers whose vehicle warranties prohibit using fuel with a higher percentage. However, Moody's does not believe that companies will raise the ethanol content without some protection from the federal government. Meanwhile, all the hot air about the ‘domestic dangers’ and ‘negative implications’ of the US exporting gas is getting hotter. A group – America’s Energy Advantage – has hit the airwaves, newspapers and wires here claiming that "exporting LNG carries with it the potential threat of damaging jobs and investment in the US manufacturing sector as rising exports will drive up the price of gas to the detriment of domestic industries." So who are these guys? 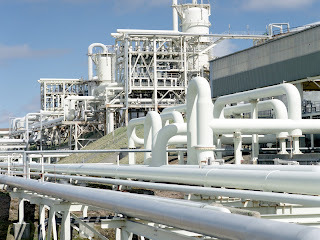 Well the group is backed by several prominent US industrial brands including Alcoa, Huntsman chemicals and Dow Chemical. Continuing with the subject, even though only one US terminal – Sabine Pass – has been permitted to export the fruits of the shale revolution, chatter in forex circles is already turning to shale oil and gas improving the fortunes of the US Dollar! For instance, Ashok Shah, investment director at London & Capital, feels this seismic shift could improve growth prospects, reduce inflation and diminish the US current account deficit, with significant ramifications for long-term investors. "For the past decade we have seen the US Dollar in decline, on a trade weighted basis. I believe the emergence of shale oil as a viable energy source looks set to have a considerable impact on the US dollar, and on the global economy as a whole," Shah said. "Furthermore, a lower oil price will drive lower global headline inflation benefiting the US in particular - and a lower relative inflation rate will be a positive USD driver, improving the long-term purchasing power of the currency," he added. The Russians are stirring up too. Last week, Gazprom and CNPC signed a 30-year memorandum to supply 38 billion cubic meters (bcm) to 60 bcm of natural gas from Eastern Siberian fields to China from 2018. The negotiations haven’t concluded yet. A legally binding agreement must be signed by June and final documents by the end of the year, covering pricing and prepayment terms. Let us see the small print before making a call on this one. On a related note, ratings agency Fitch says Gazprom is unlikely to offer any meaningful gas price concessions to another one of its customers – Naftogaz of Ukraine – in the short term owing to high spot prices for natural gas in Europe, currently being driven by the continued cold weather. Sticking with the Russian front, Rosneft, which recently completed the acquisition of TNK-BP, has negotiated an increase in its oil shipments to China from the current 15mtpa to as much as 31mtpa in exchange for a pre-payment, and has agreed on a number of joint projects in exploration, refining and chemicals production with CNPC and Sinopec. This is it for this post; it is time to bid goodbye to Chicago and Lake Michigan’s shoreline and hop 436 miles across the Great Lakes to say hello to Lake Ontario’s shoreline and Toronto. The Oilholic leaves you with a view of the waterfront and the city’s iconic buildings; the Willis Tower (once Sears Tower is on the left of the frame above). It’s been a memorable adventure to Illinois, not least getting to visit CBOT – the world’s oldest options and futures exchange. Leaving is always hard, but to quote Robert Frost – “I have promises to keep, and miles before I go to sleep.” That’s all from the Windy City folks! Keep reading, keep it ‘crude’! © Gaurav Sharma 2013. 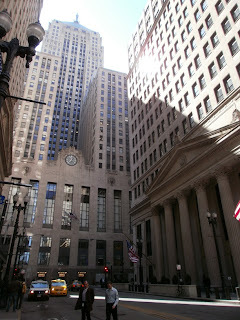 Photo 1: Exterior of the Chicago Board of Trade. 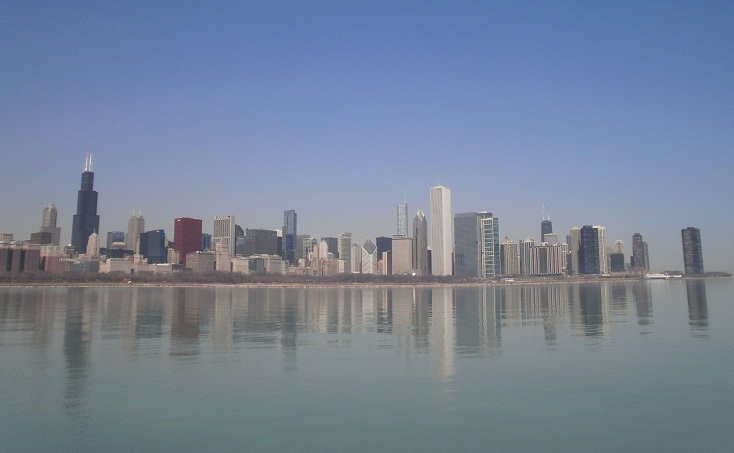 Photo 2: Chicago's Skyline and Lake Michigan, Illinois, USA © Gaurav Sharma. A visit to Chicago would not be complete without setting foot inside 141 West Jackson Boulevard – the Chicago Board of Trade’s (CBOT) iconic abode – and gathering the pulse of the market straight from the world's oldest futures and options exchange. Over 50 different options and futures contracts are traded here, including ‘cruder’ ones, via close to 4000 member traders both electronically and through open outcrys; so plenty to observe and discuss. There was only one man though whom the Oilholic had in mind – the inimitable Phil Flynn of Price Futures Group, veteran market analyst and the doyen of the business news broadcasters. The man from the “South Side” of Chicago has never been one to sit on the fence in all the years that yours truly has been mapping his market commentary. And he wasted no time in declaring that the WTI could reassert itself in the Battle of the Benchmarks pretty soon. The veteran market commentator says the period of Brent being a global benchmark will be akin to the "rise and fall of the Roman Empire" through no fault of its champions but rather that of "late adopters" who missed the pulse of the market which was ticking differently back in 2007-08 with the rise of Asian crude oil consumption. Were this to happen, both the Oilholic and Flynn were in agreement that there could be a further narrowing between Brent and WTI - a sort of “a meeting in the middle” with WTI price going up and Brent falling. “The WTI charts look bullish but I still maintain that we are closer to the top. What drives the price up at this time of the year is the summer driving season. Usually, WTI climbs in March/April because the refiners are seen switching to summer time blends and are willing to pay-up for the higher quality crudes so that they can get the switchover done and make money on the margins,” he says. His team at Price Futures (see right) feels the US seasonal factors are currently all out of whack. “We’ve recently had hurricanes, refinery fires, the Midwest glut, a temporary gas price spike – which means the run-up of gasoline prices that we see before Memorial Day has already happened! Additionally, upward pressure on the WTI contracts that we see in March/April may have already been alleviated because we had part of the refinery maintenance done early. So barring any major disasters we ‘may not’ get above US$100,” he adds. As for the risk premium both here and across the pond, the CBOT man reckons we can consider it to be broadly neutral on the premise that a US$10 premium has already been priced in and has been for some time now. “Market wizards could, in theory, conjure up a new futures gimmick solely on the “risk premium in oil” – which could range between US$3 to US$20 were we to have a one! Right now we have a US$7 to US$10 premium “near” permanently locked in. So unless we see a major disruption to supply, that risk premium is now closer to 7 rather than 10. That’s not because the risks aren’t there, but because there is more supply back-up in case of an emergency,” he adds. “Remember, Libya came into the risk picture only because of the perceived short supply of the (light sweet) quality of its crude. That was the last big risk driven volatility that we had. The other was when we were getting ready for the European embargo on Iranian crude exports,” he adds. With the discussion done, Flynn, with his customary aplomb, remarked, “Let’s show you how trading is done the Chicago way.” That meant a visit down to the trading pit, something which alas has largely disappeared from London, excluding the London Metals Exchange. 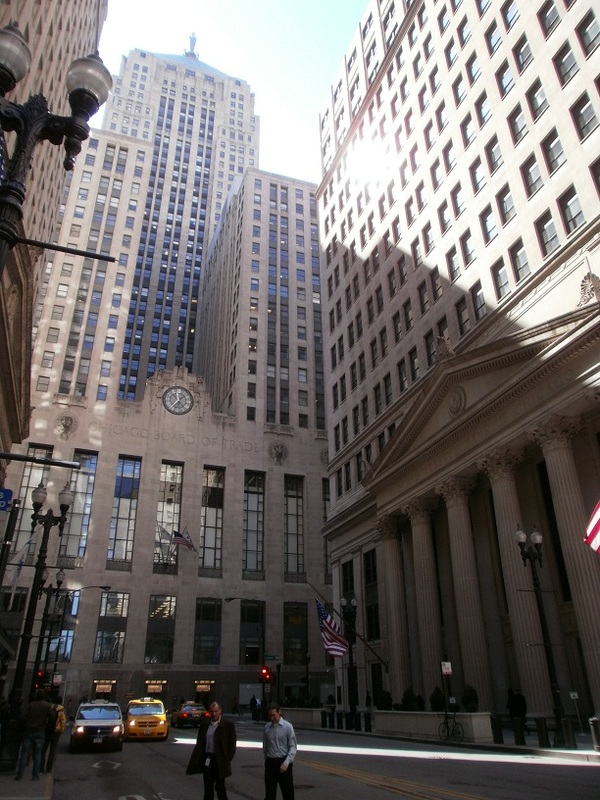 While the CBOT was established in 1848, it has been at its 141 West Jackson Boulevard building since 1930 and so has the trading pit. “Just before the Easter break, volumes today [March 28] are predictably lower. I think the exchange record is 454 million contracts set 10 years ago,” says Flynn. As we stepped into the pit, the din and energy on the floor was infectious. Then there was pin drop silence 10 seconds before the pit traders awaited a report due at 11:00 am sharp...followed by a loud groan. “No need to look at the monitors – that was bearish all right; a groan would tell you that. With every futures contract, crude including, there would be someone who’s happy and someone who’s not. The next day the roles would be reversed and so it goes. You can take all your computers and all your tablets and all your Blackberries – this is trading as it should be,” says Flynn (standing here on the right with the Oilholic). In July 2007, the CBOT merged with the Chicago Mercantile Exchange (CME) to form the CME Group, a CME/Chicago Board of Trade Company, making it a bigger market beast than it was. Having last visited a rather docile trading pit in Asia, the Oilholic was truly privileged to have visited this iconic trading pit – the one where many feel it all began in earnest. They say the Czar’s Russia first realised the value of refining Petroleum from crude oil, the British went about finding oil and making a business of it; but it is the United States of America that created a whole new industry model as we know it today! The inhabitants of this building in Chicago for better parts of 80 years can rightly claim “We’re the money” for that industry. That’s all from the 141 West Jackson Boulevard folks! 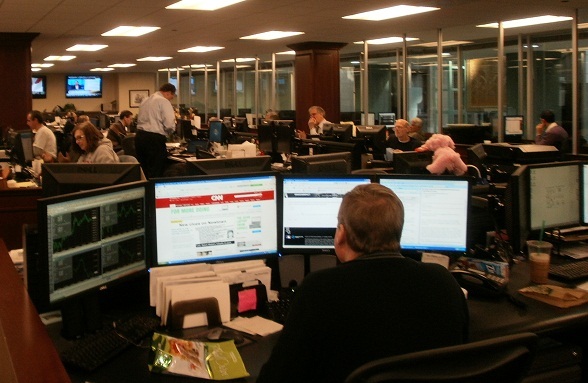 It was great being here and this blogger cannot thank Phil Flynn and Price Futures Group enough, not only for their time and hospitality, but for also granting access to observe both their trading room and the CBOT pit. More from Chicago coming up! Keep reading, keep it ‘crude’! © Gaurav Sharma 2013. Photo 1: The Chicago Board of Trade at West Jackson Boulevard (left) with the Federal Reserve Bank of Chicago (right), Chicago, USA. Photo 2: Phil Flynn (standing in the centre) with his colleagues at Price Futures Group. 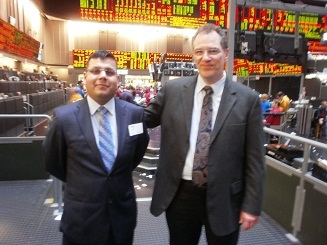 Photo 3: Phil Flynn (right) with the Oilholic (left) at the CBOT trading floor © Gaurav Sharma 2013. Last Friday, the Brent forward month futures price plummeted to US$110.65 per barrel thereby losing all of the gains it made in 2013. The WTI price declined in near furious tandem to US$91.92; the benchmark's lowest intraday price since January 4. An Italian political stalemate and US spending cuts enforced by Congressional gridlock have unleashed the bearish trends. Quite frankly, the troublesome headwinds aren’t going anywhere, anytime soon. Prior to the onset of recent bearish trends, Bank of America said the upper limit for Brent crude will rise from US$140 per barrel this year to US$175 in 2017 because of constraints on supply. It added that WTI may slip to “US$50 within the next two years” amid booming North American supply. Meanwhile, ratings agency Moody’s expects strong global crude prices in the near term and beyond, with a continued US$15 per barrel premium in favour of Brent versus WTI over 2013. Moody's still assumes that Brent crude will sell for an average US$100 per barrel in 2013, US$95 in 2014, and US$90 in the medium term, beyond 2014. For WTI, the agency leaves its previous assumptions unchanged at US$85 in 2013, 2014 and thereafter. Away from the fickle pricing melee, there was a noteworthy development last month in terms of Brent’s liquidity profile as a benchmark, which is set to be boosted. On February 19, Platts proposed the introduction of a quality premium for Ekofisk and Oseberg crudes; two of the four grades constituting the Dated Brent marker. A spokesperson said the move would increase transparency and trading volumes in Dated Brent. The proposal came a mere fortnight after Shell’s adjustments to its trading contract for three North Sea blends including Brent. The oil major said it would change its contract (SUKO 90) for buying and selling to introduce a premium for the delivery of higher quality Brent, Ekofisk and Oseberg grades. Previously, it only used the Forties grade which was typically the cheapest Brent blend and thus used to price the benchmark by default. BP has also agreed to Shell’s amended pricing proposals in principle. The Oilholic thinks it is prudent to note that even though Platts is the primary provider of price information for North Sea crude(s), actual contracts such as Shell’s SUKO 90 are the industry’s own model. So in more ways than one, a broad alignment of the thinking of both parties (and BP) is a positive development. Platts is requesting industry feedback on the move by March 10 with changes being incorporated with effect from shipments in May. However, there are some subtle differences. While Shell has proposed an inclusion of Brent, Platts is only suggesting premiums for Oseberg and Ekofisk grades. According to published information, the oil major, with BP’s approval, has proposed a 25% premium for Brent and Oseberg based on their difference to the Forties differential, and a 50% premium for Ekofisk. But Platts, is seeking feedback on recommending a flat 50% premium for both Oseberg and Ekofisk. Nonetheless, at a time of a dip in North Sea production, a change of pricing status quo aimed at boosting liquidity ought to be welcomed. Furthermore, there is evidence of activity picking up in the UK sector of the North Sea, with Oil and Gas UK (OGUK), a body representing over 320 operators in the area, suggesting last month that investment was at a 30-year high. OGUK said companies invested £11.4 billion in 2012 towards North Sea prospection and the figure is expected to rise to £13 billion this year. It credited UK Chancellor George Osborne’s new tax relief measures announced last year, which allowed gas fields in shallow waters to be exempt from a 32% tax on the first £500 million of income, as a key factor. 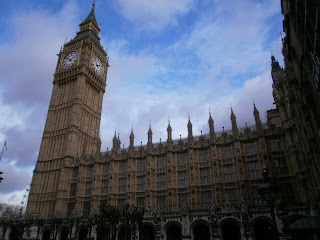 However, OGUK warned that reserves currently coming onstream have not been fully replaced with new discoveries. That is hardly surprising! In fact, UK production fell to the equivalent of 1.55 million barrels per day (bpd) in 2012, down by 14% from 2011 and 30% from 2010. While there may still be 24 billion barrels of oil to be found in the North Sea, the glory days are not coming back. Barrel burnt per barrel extracted or if you prefer Petropounds spent for prospection are only going to rise. From the North Sea’s future, to the future of a North Sea operator – Canada’s Nexen – the acquisition of which by China’s state-owned CNOOC was finally approved on February 26. It took seven long months for the US$15.1 billion takeover to reach fruition pending regulatory approval in several jurisdictions, not least in Canada. It was announced that shareholders of the Calgary, Alberta-based Nexen would get US$27.50 in cash for each share, but the conditions imposed by Canadian (and US) regulators for the deal to win approval were not disclosed. More importantly, the Harper administration said that CNOOC-Nexen was the last deal of its kind that the Canadian government would approve. So it is doubtful that a state-controlled oil company would be taking another majority stake in the oil sands any time soon. The Nexen acquisition makes CNOOC a key operator in the North Sea, along with holdings in the Gulf of Mexico and West Africa, Middle East and of course Canada's Long Lake oil sands project (and others) in Alberta. Meanwhile, Moody’s said the Aa3 ratings and stable outlooks of CNOOC Ltd and CNOOC Group will remain unchanged after the acquisition of Nexen. The agency would also continue to review for upgrade the Baa3 senior unsecured rating and Ba1 subordinated debt rating of Nexen. Moving away from Nexen but sticking with the region, the country’s Canadian Business magazine asks, “Is Vancouver the new Calgary?” (Er…we’re not talking about changing weather patterns here). The answer, in 'crude' terms, is a firm “Yes.” The Oilholic has been pondering over this for a good few years. 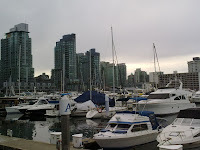 This humble blogger’s research between 2010 and present day, both in Calgary and Vancouver, has always indicated a growing oil & gas sector presence in BC. However, what is really astonishing is the pace of it all. Between the time that the Oilholic mulled about the issue last year and February 2013, Canadian Business journalist Blair McBride writes that five new oil & gas firms are already in Vancouver. Reliable anecdotal evidence from across the US border in general, and the great state of Texas in particular, suggests more are on their way! Chevron is a dead certain, ExxonMobil is likely to follow. One thing is for certain, they’re going to need a lot more direct flights soon between Vancouver International and Houston’s George Bush Intercontinental airport other than the solitary Continental Airlines route. Hello, anyone from Air Canada reading this post? Continuing with corporate news, Shell has announced the suspension of its offshore drilling programme in the Arctic for the rest of 2013 in order to give it time to “ensure the readiness of equipment and people.” It was widely expected that prospection in the Chukchi and Beaufort Seas off Alaska would be paused while the US Department of Justice is looking into safety failures. Shell first obtained licences in 2005 to explore the Arctic Ocean off the Alaskan coastline. Since then, £3 billion has been spent with two exploratory wells completed during the short summer drilling season last year. However, it does not mask the fact that the initiative has been beset with problems including a recent fire on a rig. Meanwhile, Repsol has announced the sale of its LNG assets for a total of US$6.7 billion to Shell. The deal includes Repsol’s minority stakes in Atlantic LNG (Trinidad & Tobago), Peru LNG and Bahia de Bizkaia Electricidad (BBE), as well as the LNG sale contracts and time charters with their associated loans and debt. It’s a positive for Repsol’s credit rating and Shell’s gas reserves. As BP’s trial over the Gulf of Mexico oil spill began last month, Moody’s said the considerable financial uncertainty will continue to weigh on the company’s credit profile until the size of the ultimate potential financial liabilities arising from the April 2010 spill is known. Away from the trial, the agency expects BP's cash flows to strengthen from 2014 onwards as the company begins to reap benefits of the large roster of upstream projects that it is working on, many of which are based in high-margin regions. “This would help strengthen the group's credit metrics relative to their weaker positioning expected in 2013,” Moody’s notes. One final bit of corporate news, Vitol – the world's largest oil trading company – has posted a 2% rise in its 2012 revenue to US$303 billion even though volumes traded fell and profit margins remained under pressure for much of the year. While not placing too much importance on the number, it must be noted that a US$300 billion-plus revenue is more than what Chevron managed and a first for the trading company. However, it is more than safe to assume Chevron’s profits would be considerably higher than Vitol’s. Regrettably, other than relying on borderline gossip, the Oilholic cannot conduct a comparison via published sources. That’s because unlike listed oil majors like Chevron, private trading houses like Vitol don’t release their profit figures. That’s all for the moment folks. But on a closing note, this blogger would like to flag-up research by the UK’s Nottingham Trent University which suggests that Libya could generate approximately five times the amount of energy from solar power than it currently produces in crude oil! The university’s School of Architecture, Design and the Built Environment found that if the North African country – which is estimated to be 88% desert terrain – used 0.1% of its landmass to harness solar power, it could produce almost 7 million crude oil barrels worth of energy every day. Currently, Libya produces around 1.41 million bpd. Food for thought indeed! Keep reading, keep it ‘crude’!